When will be DreamPoint Outdoors' Game of Inches next episode air date? Is DreamPoint Outdoors' Game of Inches renewed or cancelled? Where to countdown DreamPoint Outdoors' Game of Inches air dates? Is DreamPoint Outdoors' Game of Inches worth watching? 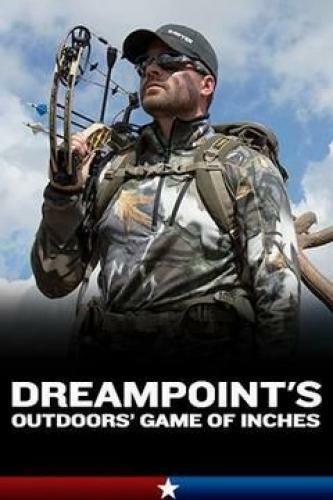 DreamPoint Outdoors' Game of Inches and host Justin Olk take you on an epic journey across the globe inpursuit of todays most sought after trophies. DreamPoint's unique style ofbeautiful videography and mood setting music allow you to experience the huntrather than simply watch it. In it's third season DreamPoint brings you theirbest with 10 species hunted over 11 states and 3 countries. Every episodebrings you a new adventure and a new experience. Justin Olk tackles the extreme terrain of New Zealand's Southern Alps in search of a trophy Himalayan Tahr. Justin Olk has an aggressive new plan to ready his Illinois farm for the upcoming season. Will drastic changes allow for success or create a much larger issue than anticipated? After an 8 year wait Justin Olk draws a coveted Arizona archery elk tag. Public land hunting presents challenges but a series of unbelievable events leaves Justin speechless. DreamPoint Outdoors' Game of Inches next episode air date provides TVMaze for you. EpisoDate.com is your TV show guide to Countdown DreamPoint Outdoors' Game of Inches Episode Air Dates and to stay in touch with DreamPoint Outdoors' Game of Inches next episode Air Date and your others favorite TV Shows. Add the shows you like to a "Watchlist" and let the site take it from there.